Is it time for your roof to be replaced? If you are located in or around Pampa, Texas the residential roofing professionals at Ammons Roofing are here to help! Call us today at (806) 669-7777 so we can provide you with a thorough roof inspection. When your roof is in order the rest of your home follows suit. Let us take that weight off of your shoulders. Here at Ammons Roofing we have an impressive 20+ years of residential roofing knowledge that we can put to work for you. You’re not just another number on our list when you choose us for your re-roof needs – You are a part of the Ammons Roofing family. If your home needs it Ammons Roofing can supply it! We have a crew of team members that strive daily to provide our trusted clients with the finest craftsmanship in the great state of Texas. Let us show you just why 10,000+ families and businesses have trusted Ammons Roofing for all of their commercial and residential roofing needs. We understand that your roof protects your family and all of your treasured belongs. It protects everything that is important to you. We promise to provide you with the level of workmanship that our customers have come to expect from us. Here at Ammons we will always provide long-term roofing solutions at affordable prices. We stay current on all local zoning laws, homeowner association guidelines, and building code requirements. Call today at (806) 669-7777 if you are in Pampa, Texas so we can assist you in choosing the correct roof for your home with a warranty to match! 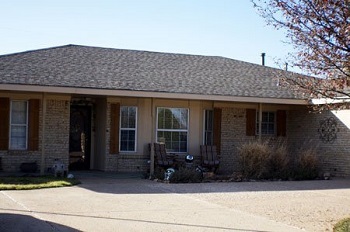 If you are in Pampa, Texas give us a call today so we can provide you with a no-obligation re-roof estimate. Our dedicated team members are here to help in any way they can. Our service technician will thoroughly inspect your roof and provide you with a detailed report of its condition and discuss your re-roofing options. 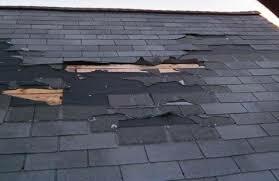 Let us get your roof replaced quickly and efficiently so you and your family can get back to living your lives. Call today at (806) 669-7777! Thank you for the opportunity of earning your business. Are you in need of professional building inspection services? 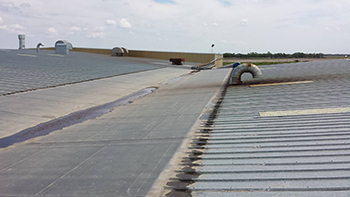 If you are located in or near Pampa, Texas, Ammons Roofing is here to help. Our company has been serving happy customers in Pampa and other areas of Texas for over 20 years. We offer premium service and a strong knowledge for identifying defects or other issues in your building envelope. Ammons Roofing uses thermal imaging, which is an advanced method that allows us to locate anomalies or problems within your building envelope in an efficient manner that isn’t invasive or destructive, due to the no-contact advantage it employs. We can help you detect issues early on before they cost you more money. This also helps to prevent building component fails, which can cause property damage and extensive, costly construction work. One of the leading causes of increases in energy costs is air infiltration, which we can detect with our inspections. With our help, we can locate locate where this is occurring, which will save you from spending money in unknown problems. 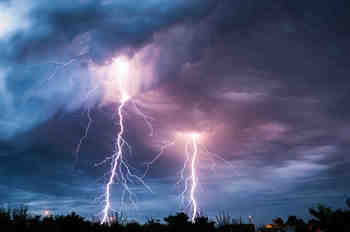 You will also be able to find roof damage early on before it becomes too costly. To experience these advantages, give us a call today! Whatever solutions your roofing system needs, Ammons Roofing can help. 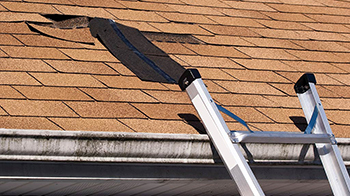 We will help determine the best solutions to your roof’s unique needs. 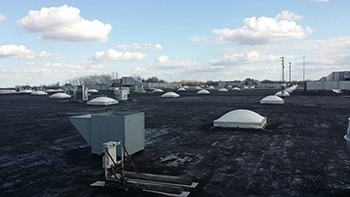 Give us a call today for more information or to request an on-site roof analysis. 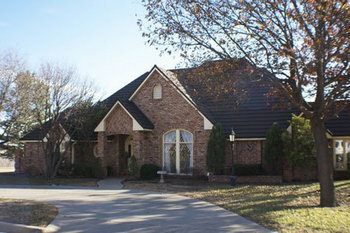 Ammons Roofing offers over 20 years of strong experience and knowledge. Our team will ensure that your facility is cost-efficient, well-insulated, and well-secured. If you have any questions or inquires about our service, don’t hesitate to call us. For more information, or to request a facility inspection, call us today at 806.669.7777. The Ammons Roofing family looks forward to serving you! 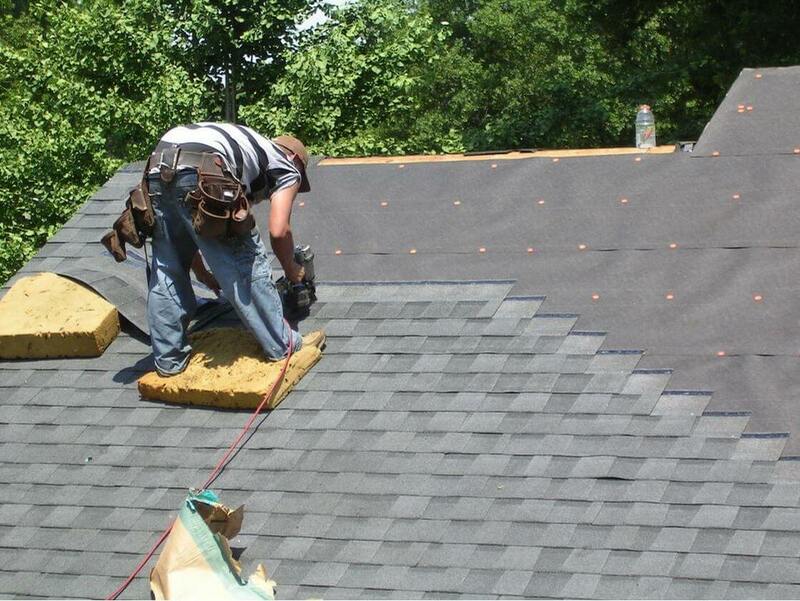 Looking for a dependable roofing contractor in Pampa, Texas? Ammons Roofing is here to help. 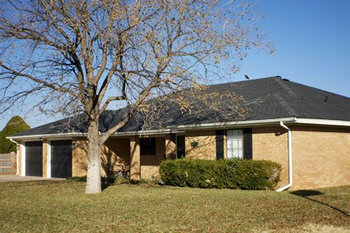 Our roofing company has over 20 years of customer satisfaction in Pampa and other Texas areas. 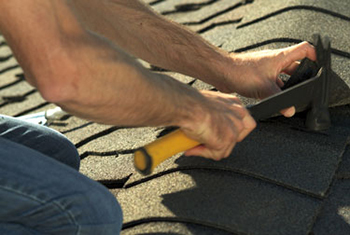 We offer exceptional service, knowledgeable technicians, quality solutions, and years of roofing experience. Whether you need stress-free storm damage restoration, re-roofing, or even exterior renovation, Ammons Roofing can help. Call (806) 669-7777 to request a professional estimate. A company technician will come out and perform a roof inspection. Then we can discuss how we can serve you. We are more than happy to help! If your home requires any of these services, don’t hesitate to call us! Your home is an important part of your everyday life and more than an investment. It protect your family, self, and belongings from harm. We understand this at Ammons Roofing. Our specialists can assess your roof and present solutions to help your current roofing situation. 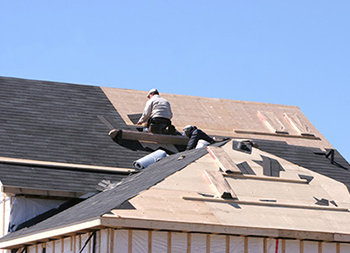 Ammons Roofing keeps our knowledge up-to-date when it comes to state and local zoning laws, building code requirements, and homeowner associates guidelines. Our associates can be of assistance in choosing the right roofing for your household and a warranty to match it. We serve Pampa, Canadian, Perryton, Wheeler, White Deer, Panhandle, Amarillo, Borger, and the surrounding areas. We strive to make your roofing project as minimally disruptive and stress-free as possible. 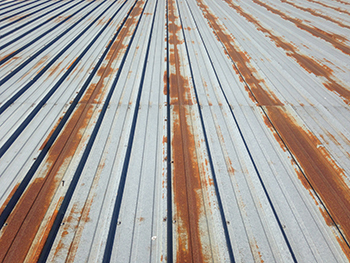 If you’re roof needs any of our repair services, contact Ammons Roofing! We will be more than happy to serve you. Do you need assistance from a professional roofing company? 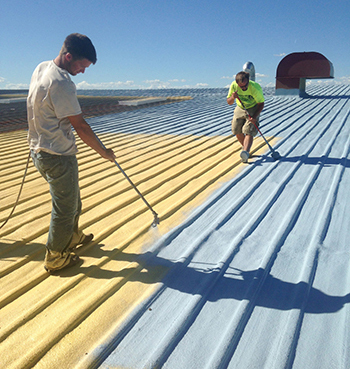 If you’re looking for the right contractor around or in Pampa, Texas, Ammons Roofing can help. For 20+ years, we’ve proudly served our valued customers in the Texas Panhandle and High Plains Region. In that timespan, Ammons Roofing has earned a reputation for quality, integrity, and impeccable craftsmanship. If you’re considering different roofing companies for your needs, we warmly invite you to examine our record in our local communities. To request a roof estimate for your property, please call us at 806.669.7777. A company technician will visit your home, inspect your roof, and would be glad to answer any questions you may have. A quality roofing system doesn’t just come together. Rather, it’s the sum of a contractor’s knowledge, their crew’s experience, the materials they use, and the precision with which the roof is installed. So it’s important to hire the right roofing contractor from the start. 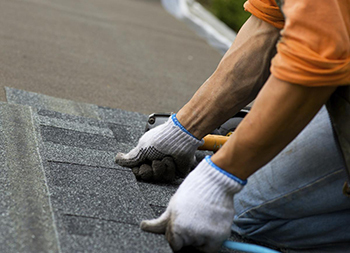 Over our 20+ year history, Ammons Roofing has served 10,000+ homeowners and commercial clients. We understand the importance of doing the job right, and our craftsmen have extensive installation experience. To see the value of the Ammons difference, call us today! If you’re looking for a roofing company you can trust, call Ammons today! We would be glad to help you. Ammons Roofing is a member of the National Roofing Contractors Association. We adhere to high standards for installation, customer service, and project completion. 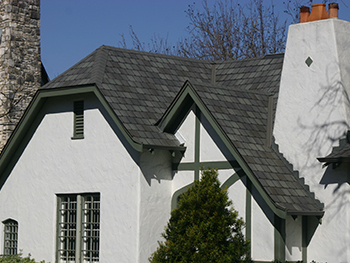 To request a professional evaluation of your residential roof, contact our team today. A friendly associate is standing by to answer your questions and to schedule an appointment at a convenient time for you. Don’t hesitate — call us today at 806.669.7777. We look forward to the possibility of earning your business! 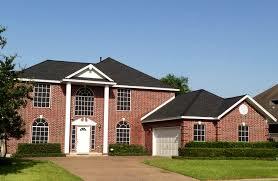 Do you need professional roof replacement services in Pampa, TX? Contact the experts at Ammons Roofing. 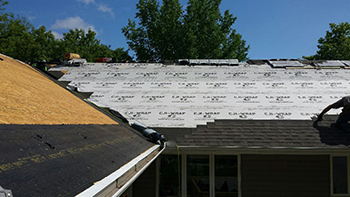 We’re a full-scale company with 20+ years in the roofing industry. You can trust our dedicated team of skilled technicians to deliver a worry-free & efficient replacement experience. 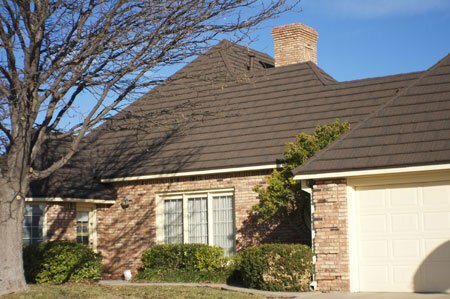 If you are interested in receiving a free roof assessment, contact us at 806.669.7777. A qualified member of our team will conduct an on-site evaluation of your roof’s condition and gladly address all of your questions. If you need roof replacement services in Pampa, Amarillo, White Deer, or any of the surrounding communities, give us a call. We have successfully served 10,000+ clients in the Texas Panhandle, and we hope to serve you too! 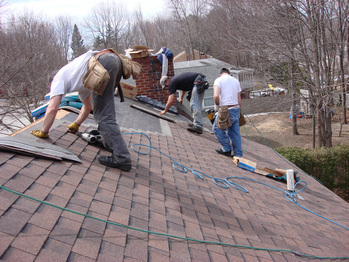 Re-roofing projects are a major investment. To achieve long-lasting results, the replacement process has to be handled by an industry professional with strong attention to detail. 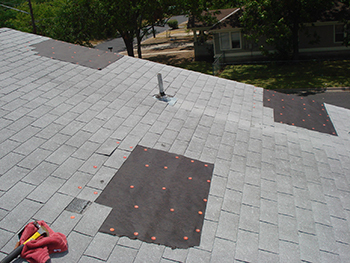 The technicians and craftsmen at Ammons Roofing have comprehensive fieldwork experience. With over two decades in the roofing business, you can depend on Ammons to install a beautiful new roof that will endure for years to come. 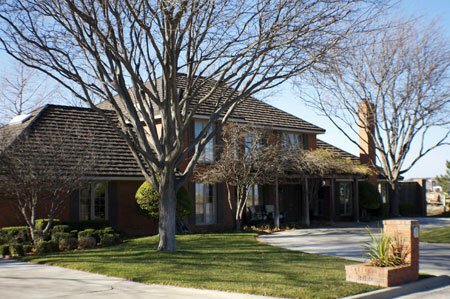 Throughout the replacement process, Ammons Roofing is focused on providing exceptional customer service. That’s why we offer free roofing estimates. To request a customized, professional roof estimate today, please contact us. We can help you schedule an on-site evaluation of your roof and guide you through various, applicable options. It would be our pleasure to assist you. Call us today at 806.669.7777 to arrange a free replacement quote.